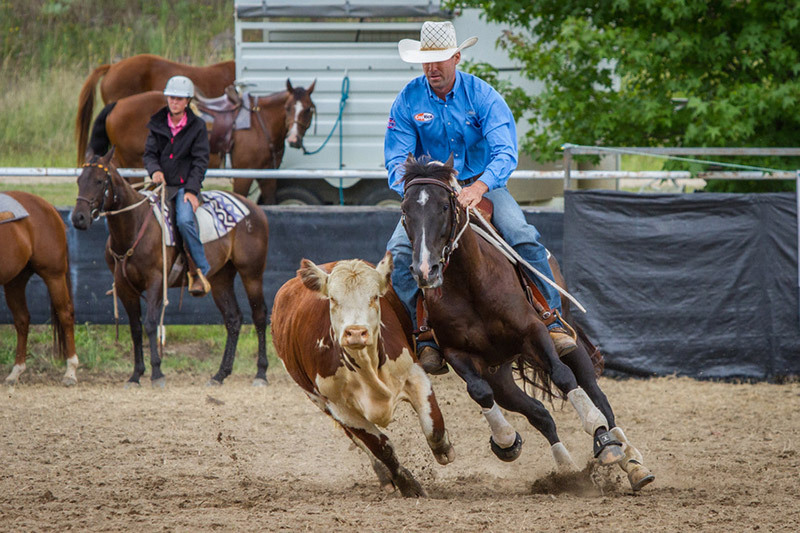 Rob Leach is a master horse trainer with firm views on how things should be done. 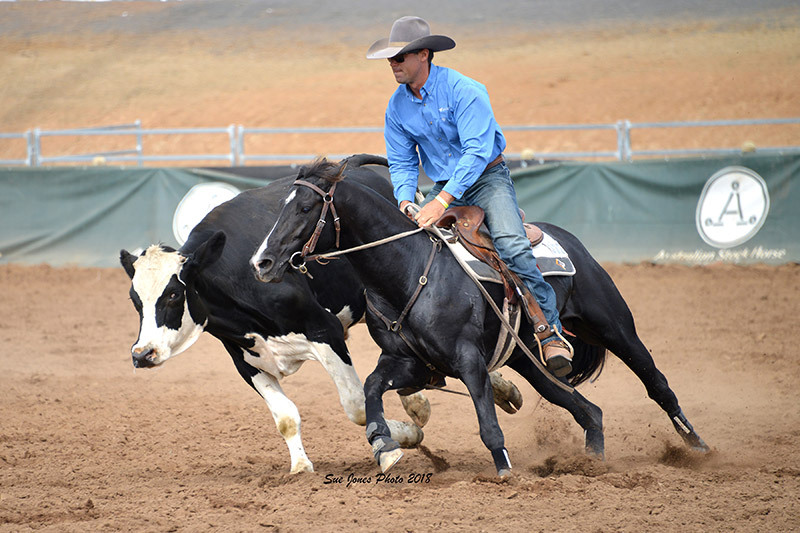 His versatility in achievements as a horseman are testament to his belief that a solid foundation is the key to success in any discipline. 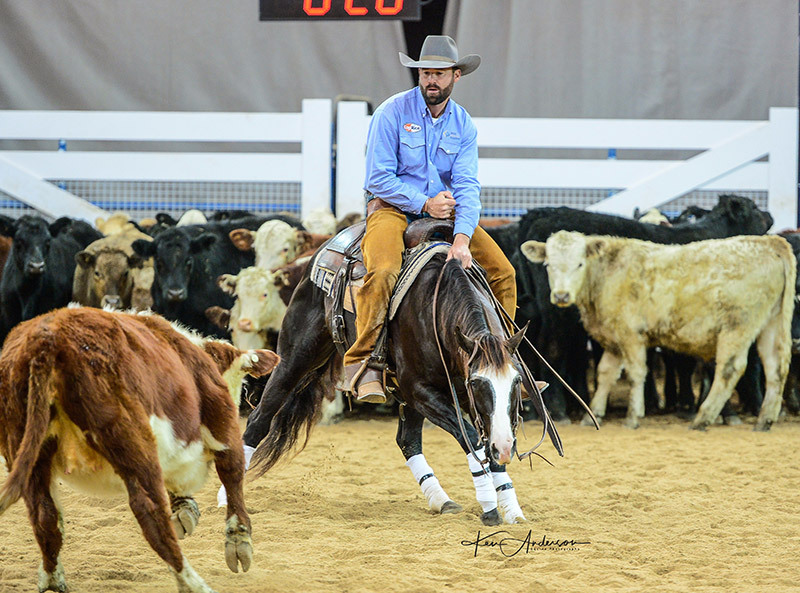 But it hasn’t been through lack of pure determination and hard work that he has come this far since his humble beginnings in the horse industry. 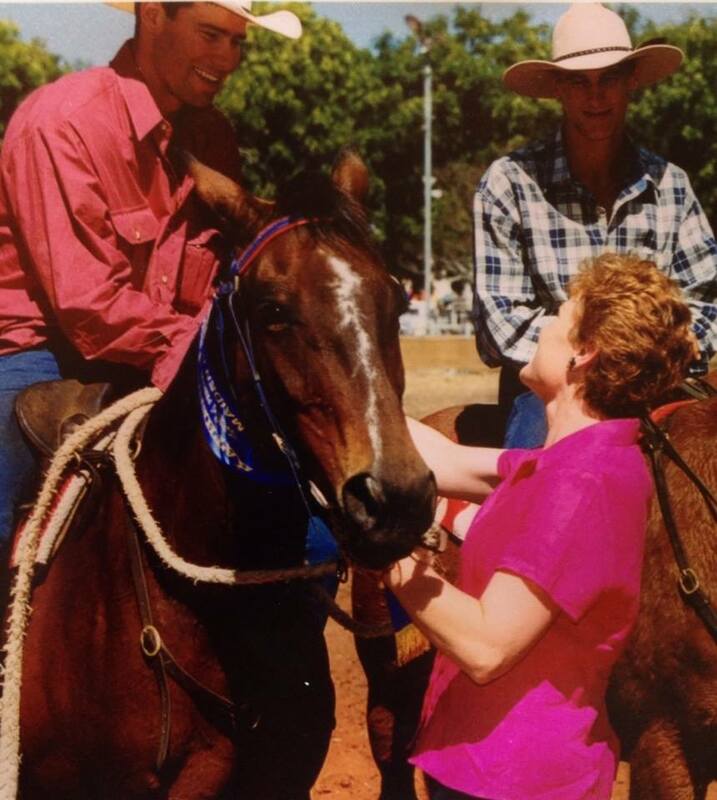 Rob Leach & Jon Templeton, Katherine Show presentation with Pauline Hansen, 2000. 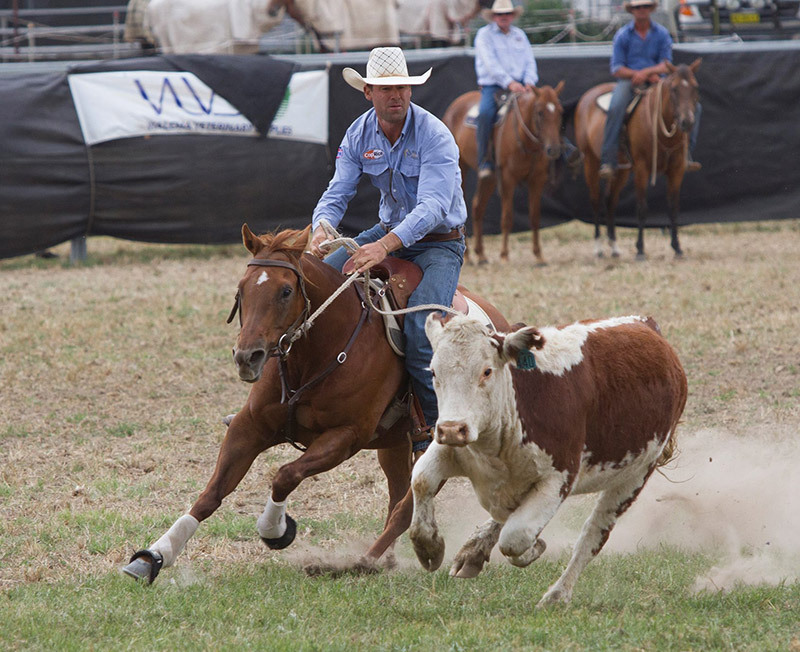 Raised on a small property near Mansfield, Victoria, Rob competed in Pony Club, mountain racing and campdrafting. His passion for horses, but limited “horse-power,” evoked Rob’s determination to have better horses, igniting a keen interest in training. Rob left school at age 15 with the idea of becoming a horse trainer, but no idea how to go about it. Fortune intervened and he moved in with Jimmy Mathews to start his working life. 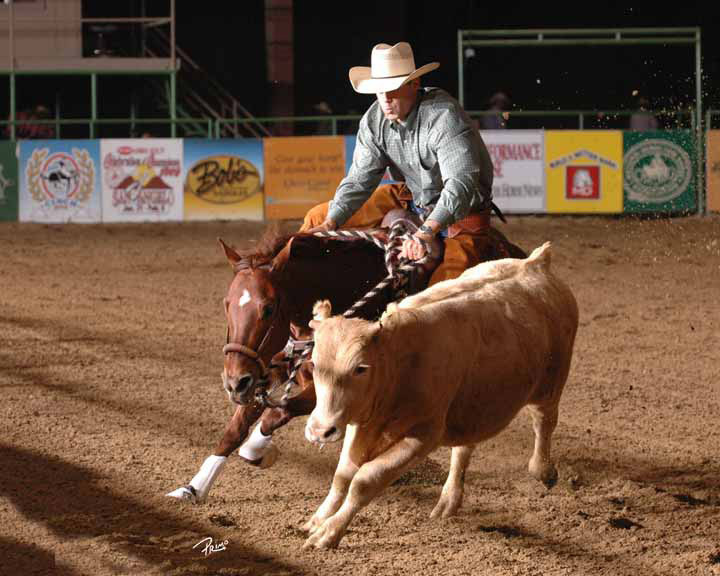 He worked for Jimmy and son, Raymond, breaking in thoroughbreds for the track and helping with cattle work. 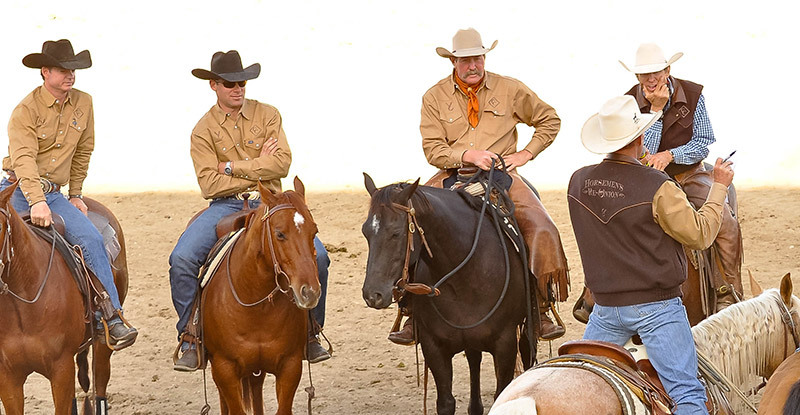 Rob and Jimmy forged an instant bond and the iconic cattleman was to shape Rob’s life. 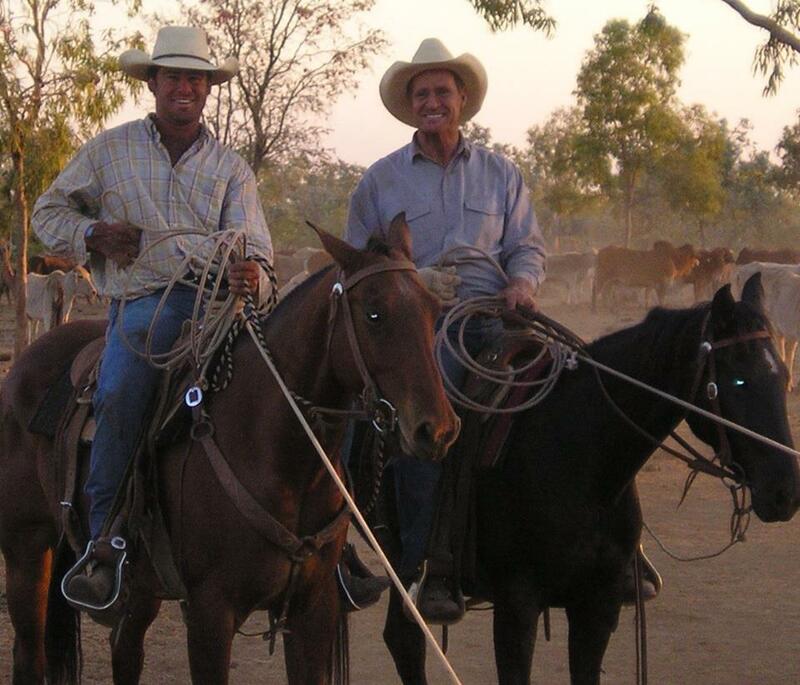 When he was 18, Jimmy directed Rob to the Northern Territory where ended up running stockcamps at Newry and Argyle Stations whilst doing their breakers in the wet season. 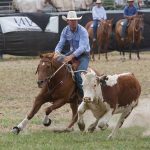 Full-time breaking was next for Rob, and at 21, he had already broken in over 300 horses for large pastoral companies in the N.T., including CPC, Tejas and Heytesbury. Rob then enlisted the assistance of Tom Curtain and together they Broke in 60 horses in six weeks at Mt Sanford before Rob took a position managing Welltree Station for his future father-in-law, John Quintana. Rob Leach & future father-in-law John Quintana, Killarney 2001. In 2004, Rob and his wife Lee took a trip to the States where they stayed for the next seven years. 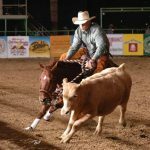 Rob became involved in the cow horse industry through his job at the Twissleman Ranch in California, starting and training horses for The Ranch’s annual production sale, specialising in Team Roping, Cutting and Working Cow Horses. 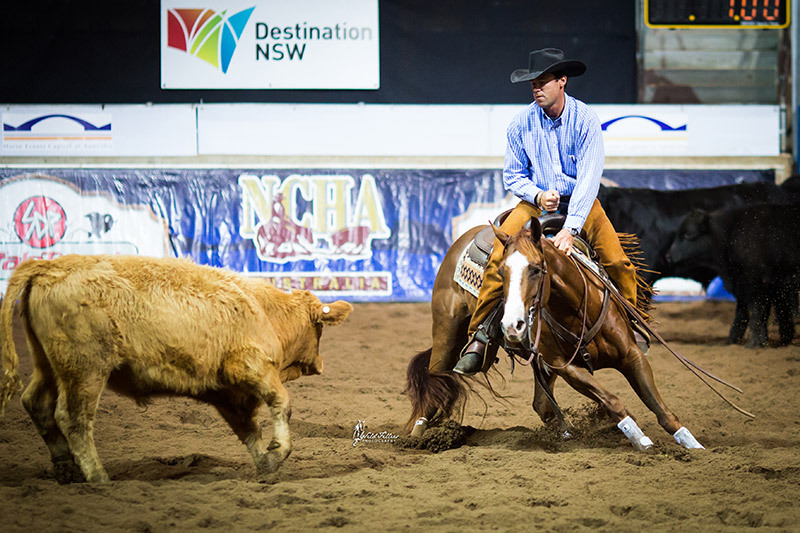 He then spent time with NRCHA Champion Jake Gorrell, and started competing in the NRCHA. 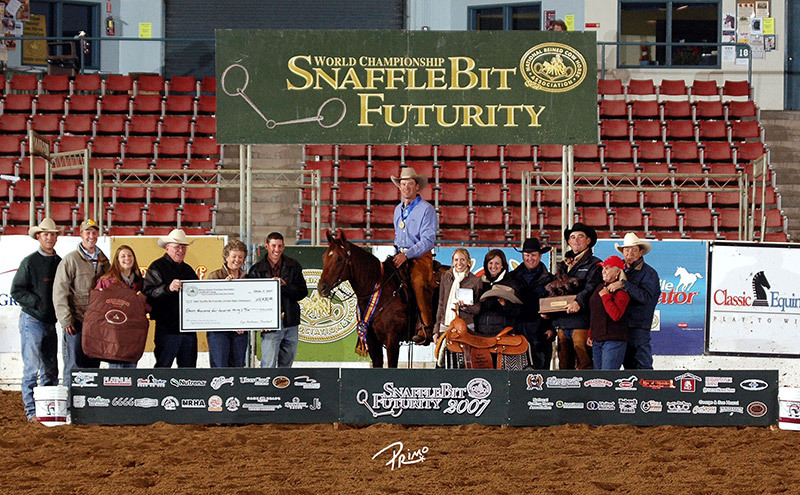 Straight off the mark, he won a world championship at his debut Limited Open Snaffle-Bit Futurity in Reno, NV, with Pep N Coda Lena, a mare Rob started himself and purchased for a mere $3,000. 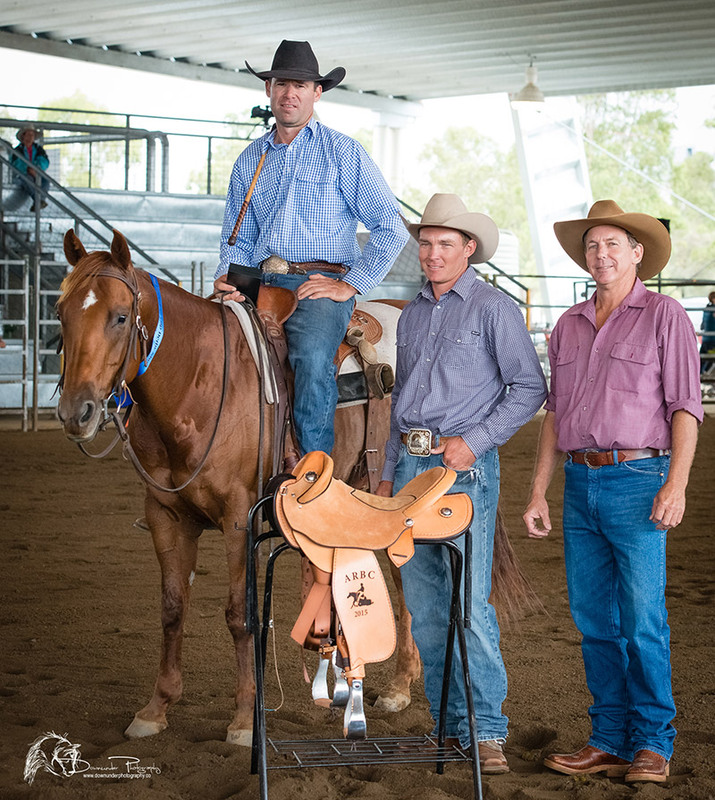 Quickly becoming one of the most recognised 2yo trainers on the west coast, Rob and Lee decided to go out on their own and leased a training facility in Central California where Rob spent the next three years training Reined Cow Horses, averaging 25 client-horses and regularly finalling at the NRCHA aged events. 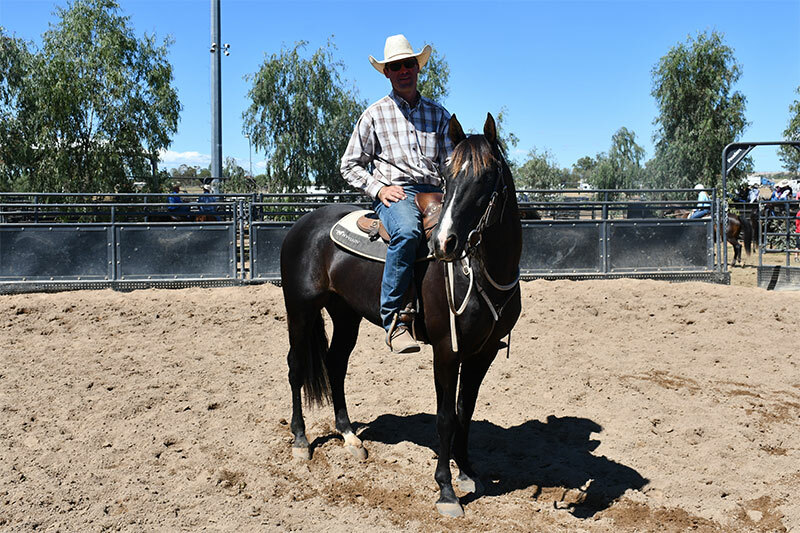 With California hit hard by the global financial crisis, the couple then decided to move to Texas where Rob ran 2yo programs for clinician Chris Cox and Cutting Horse Trainer Roger Wagner. 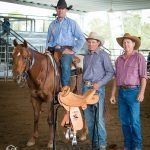 In 2011, Rob, Lee and new son Grant, returned to Australia for family reasons and Rob found work for three years as the trainer and stud manager for SDM Quarter Horses. During this time, he played an integral role in the purchase of One Time Royalty by SDM. A difficult time then commenced with Lee’s father passing away, followed by the loss also of SDM Owner Susan Marchant. With time for a change, Rob and Lee moved to Tamworth. 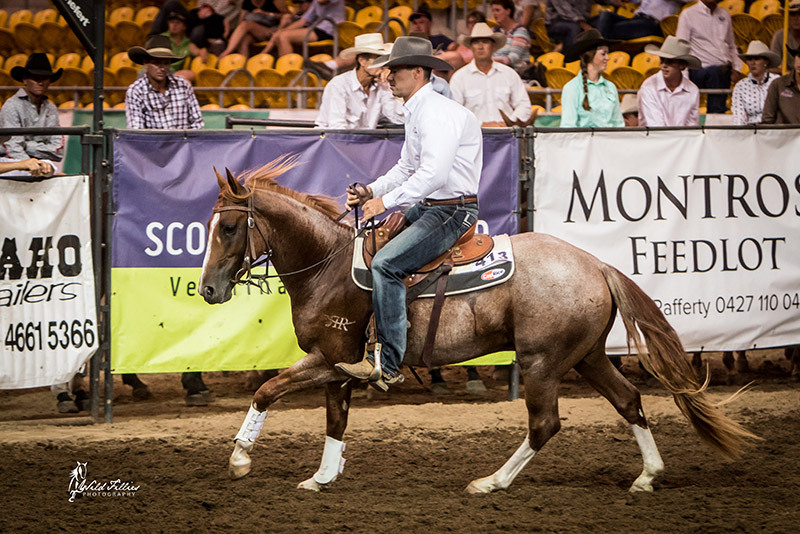 Rob took a breaking in contract at Tamarang for Richard Bull, where he had the privilege of starting “Salute,” Richard’s Smart Little Lena cloned stallion, who was an unbroken 8yo at the time, along with a number of 2 yo’s by him. 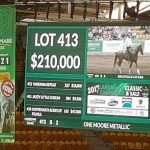 He prepared Richard’s three horses for the Landmark Classic Sale, including the Wolf of Wall Street, a 2yo Conman colt who made $65,000. 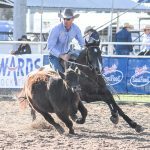 He immediately liked the Landmark concept and wanted to specialise in preparing quality horses for vendors with a solid foundation for campdrafting, cutting and challenge events. Rob, Lee & Grant Leach. 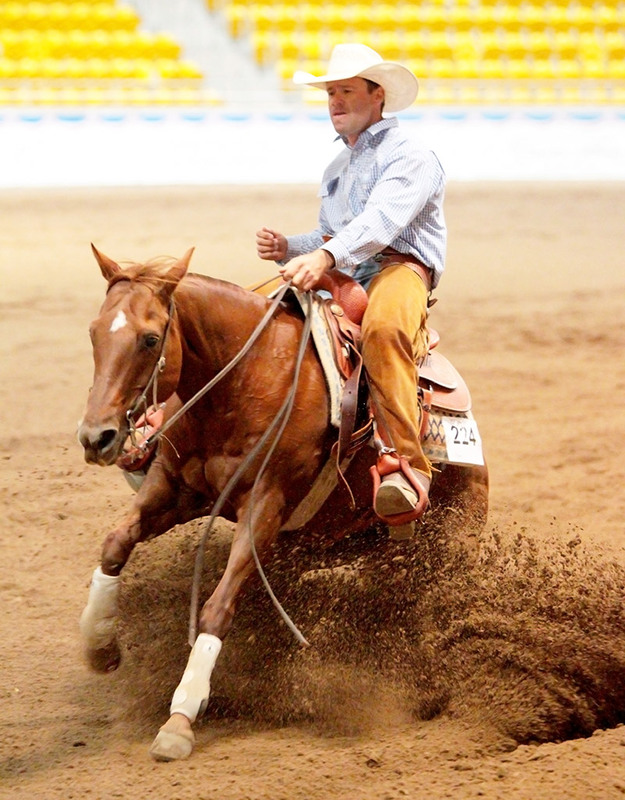 The long term future for Rob is to be competitive and be a better horseman. 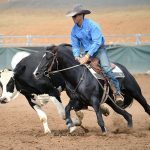 Over the last few years, he has been able to again fulfil his competitive ambitions through successes in campdrafting and stockman’s challenges. 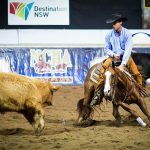 He believes he brings a different dimension to the usual campdraft training programs for young 2, 3 or 4yo horses due to his reined cow horse background which demands more polish and professionalism. 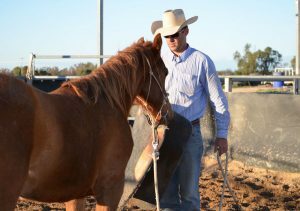 He has trained many great horses, but is most proud of his mare, Pep N Coda Lena, whom he brought back to Australia with him. 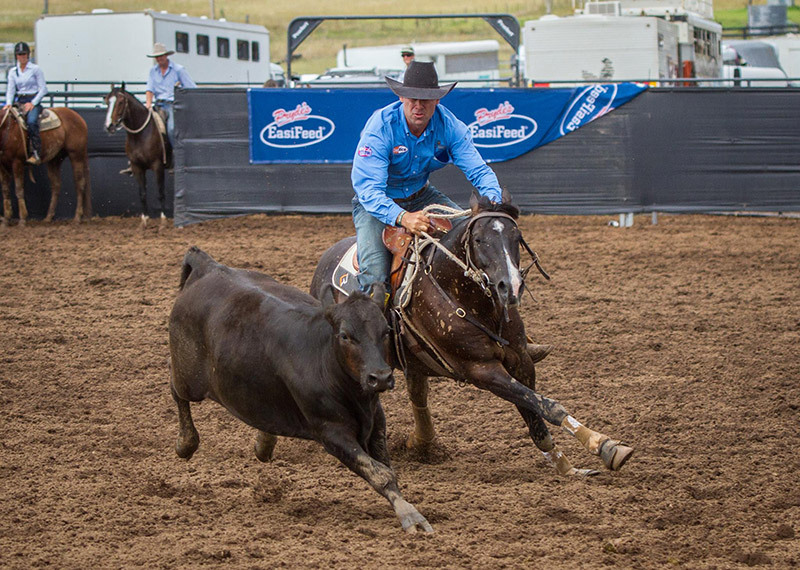 Not only has she won multiple NRCHA aged events in the U.S., but has now won open campdrafts, stockman’s challenges, reinings and also the occasional team roping. 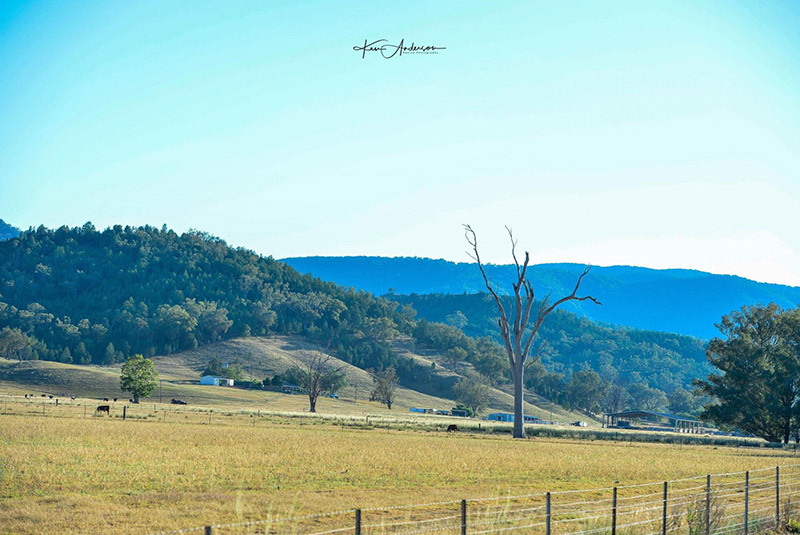 Rob and Lee have recently purchased their own property at Attunga, north of Tamworth, where they are building excellent facilities and already have a large undercover arena, stables and day yards to ensure the welfare of clients’ horses. 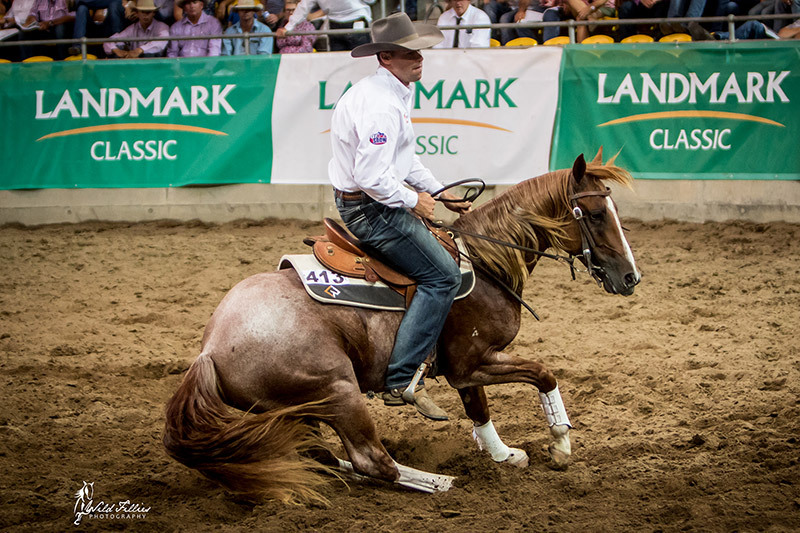 The Landmark Classic Sale will continue to be Rob’s main annual focus, while he will keep pursuing selected bigger drafts, stockman’s challenges and cuttings. Set Australian record twice. 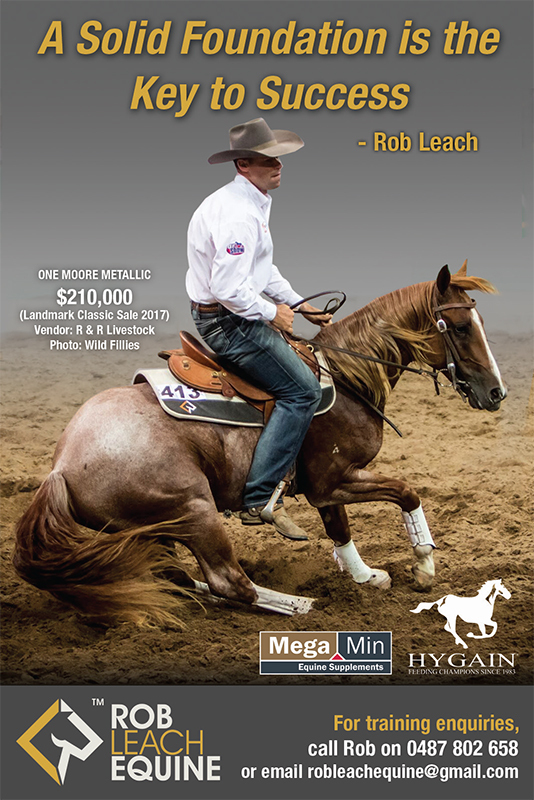 Topped 2017 Landmark Classic Sale with 2 yo stallion, trained by Rob, selling for $210K. 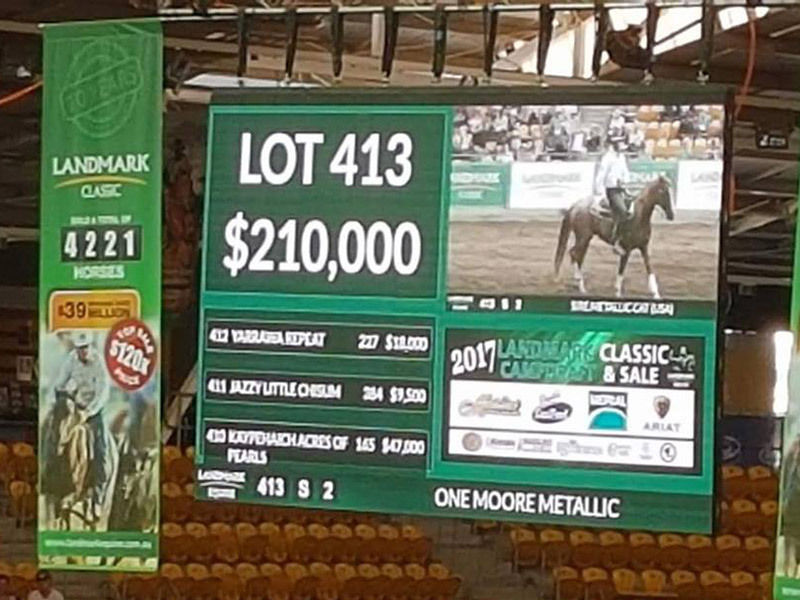 This record was broken in 2019 when 2 yo filly Yaven Smooth Spin sold for a new record price of $230K. Leading trainer for Landmark Classic Sale with highest averages for last 4 years. 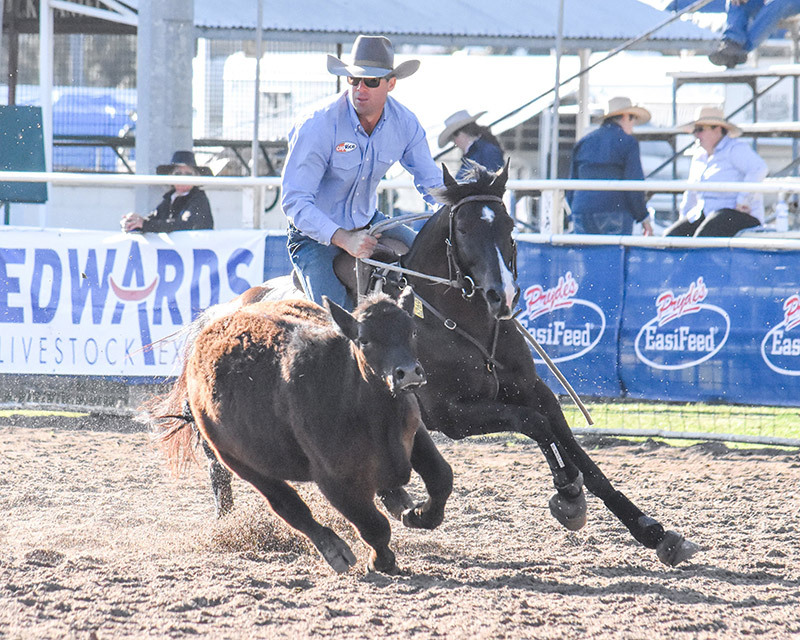 Rob continually achieves in multi disciplines events and has won a multitude of Open, Novice and Maiden drafts since he started campdrafting again in 2015. 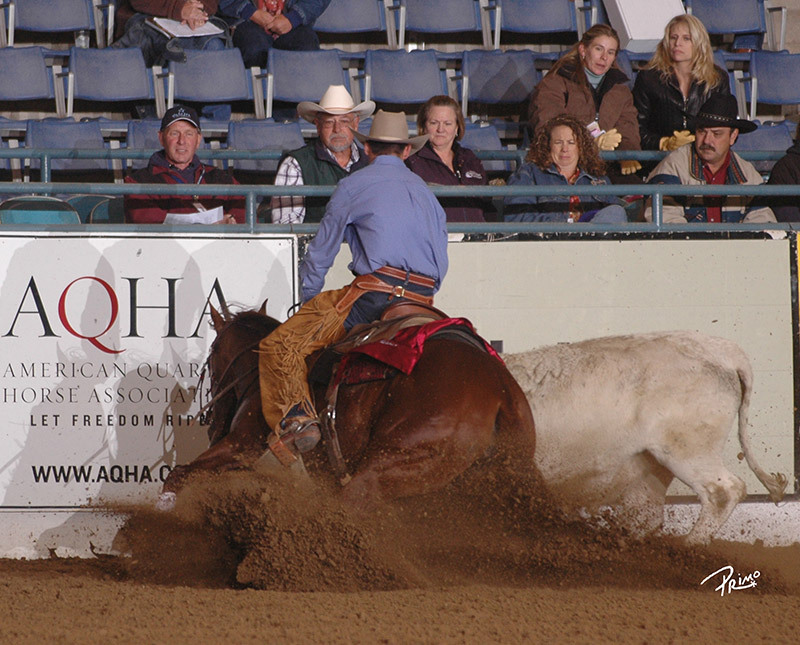 Winner Equitana Reined Cow Horse Masters with Smooth Like Cactus. Winner Toowoomba Landmark Open Draft on Hazelwood Congressman. Winner of 5 out of 8 open campdrafts in 2017 and multiple novice and maiden wins. Stables and day yards to ensure the welfare of clients’ horses. Photo by Ken Anderson Equine Photography. Rob’s training program emphasises the importance of building a solid foundation. 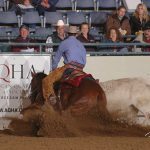 He believes support, preparation and repetition, in the early stages of training, are all critical in the development of a confident, reliable and disciplined horse. 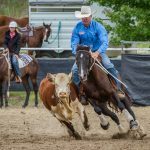 With a straight-forward approach, Rob discourages resistance while encouraging the horse to seek relief through positive reinforcement. He aims to teach horses to think, instead of react, under pressure. Rob has conducted clinics and demonstrations in the U.S., Australia and even the Philippines. 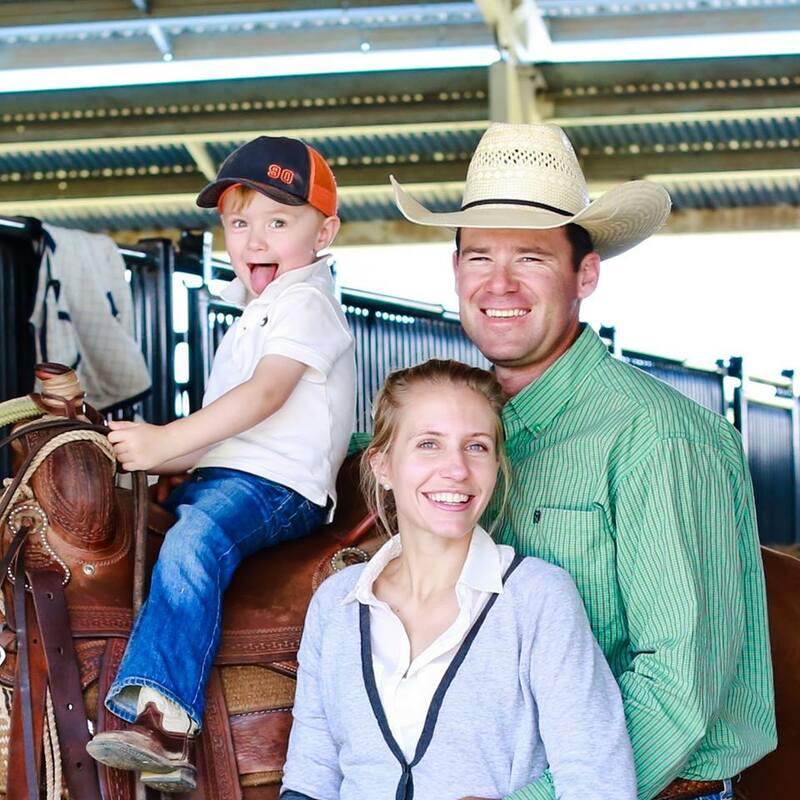 He has a passion for helping people with their horses and encouraging their success. 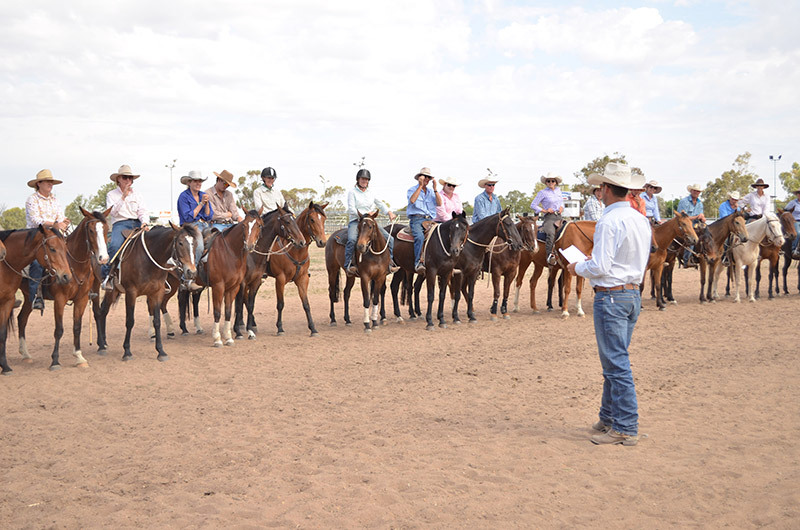 His clinics specialise in horsemanship fundamentals, cow horse control, cutting foundations and reining manoeuvres. 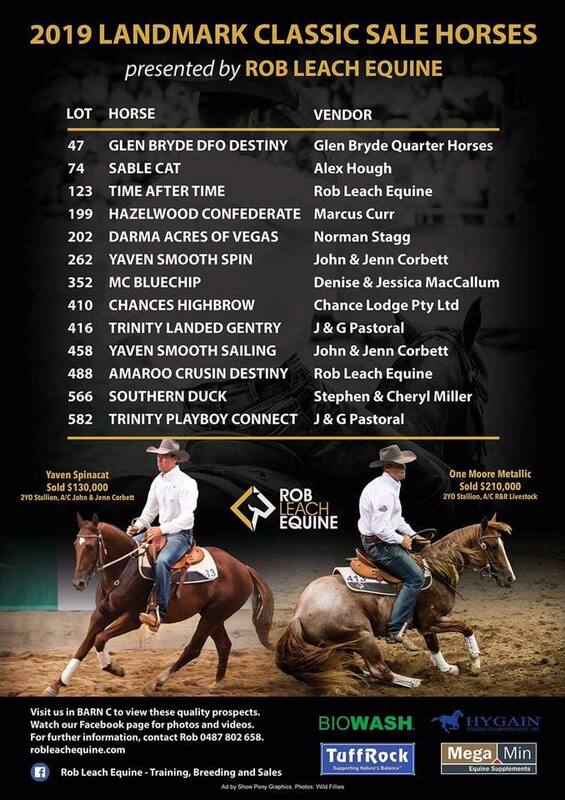 2018 Australian Campdrafting Ad by Show Pony Graphics. 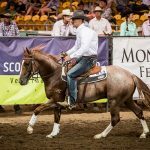 ASHS National Show Stallion draft winner. Hazelwood Congressman. Ad by Show Pony Graphics for Australian Campdrafting Magazine.